We personalise every trip so that you get the most out of your 4wd adventure holiday. It’s more than just a drive, enjoy the friendship, adventure and amazing sights along the way. We take the worry out of you having to organise your trip, accommodation, even fuel stops. We have it all covered for you. Feel safe and secure in the knowledge you have experienced tour leaders guiding you through some of Australia’s most beautiful iconic destinations and remote locations. We offer 4WD adventure tagalongs taking you to Cape York, through Birdsville and the Simpson Desert, Coober Pedy, Ayers Rock, the Kimberleys, Victorian High Country and so much more. We also offer short day trips and weekend trips around South East Queensland and the NSW Northern Rivers area. 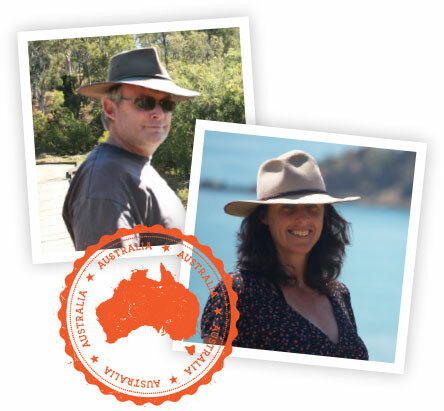 Your 4WD tagalong tour will be personally lead by the experienced team of Andrew and Renee. Feel secure in the knowledge that we won’t take you anywhere that we haven’t been to first. Our team has many years of hands on 4WD experience, some in the toughest of terrains. We always carry safety and emergency communications and are first aid trained. Whether you have an off-road caravan, camper trailer or a swag come along and explore the country with us on our next 4WD tagalong tour, we would love to have you along. If you don’t own a 4WD but have a caravan or motorhome and want to come on a tagalong, we also have you covered. Through our association with the Campervan, Motorhome Club of Australia you can join us on one of the CMCA member only Safari’s, we run short 7 day trips up to 60 days or longer throughout Australia. See you somewhere around the campfire!